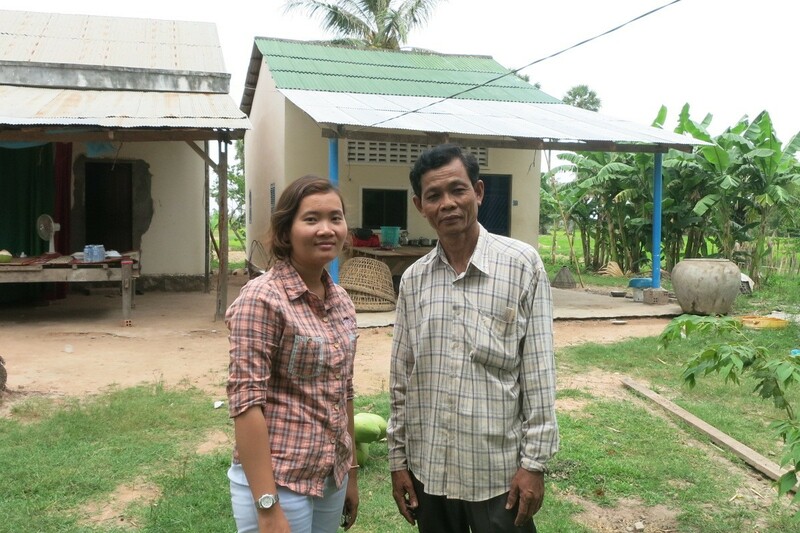 Sok Chea is sixty years old, and lives in small house in a remote village in between Takeo and Kampot. In his younger days he worked as a barber, but age has made him frail and he cannot stand for long, so he now works as a wedding photographer on occasion. 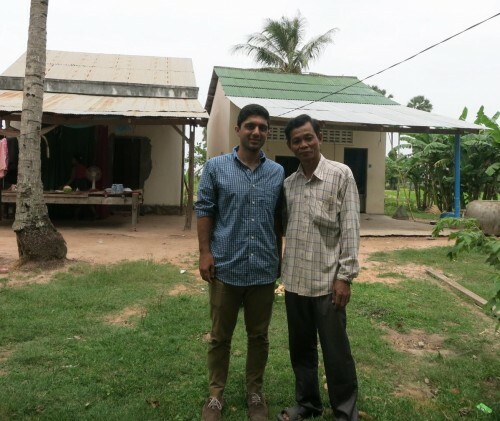 When Sok Chea gave his brother some fish as a present several months ago, he hardly expected the devastating effects it would have on his life. Unbeknownst to him, his brother owed debts to a third party who lived nearby, and when they saw he had received these fish they took it upon themselves to settle their debt by taking fish from Sok Chea’s lake. They constructed a fence on Sok Chea’s property which they decided made it acceptable for them to take however many fish they wanted from his lake, and as such they proceeded to steal many of Sok Chea’s fish. Sok Chea tried to get evidence of them stealing his property by filming them taking the fish and putting up the fence, but when they saw this they took his camera. Furthermore, when there were not enough fish to pay back the debt, they broke the lock on his house and changed it, they wanted to take his house as repayment for his brother’s debt. 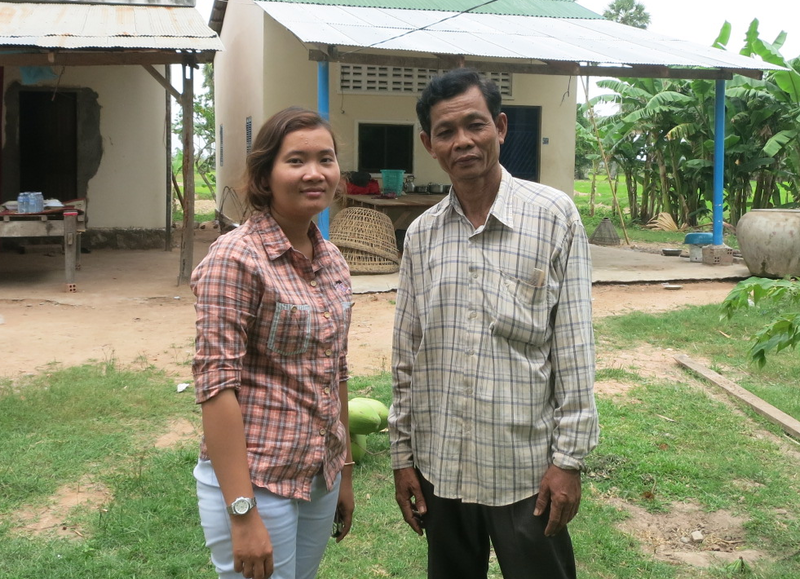 As an older person who could only do so much to protect his property, Sok Chea needed the help of the law, so decided he needed to file a complaint with the court. He approached another local NGO, who did not have time to represent him in court, but were able to help him draft two complaints. First, he made a complaint under Article 299 of the Criminal Code of Cambodia for breaking and entering, and controlling property, which was unsuccessful because of a lack of evidence. Next, he filed his second complaint against them for intentionally causing damage to his property under Article 410 of the Criminal Code of Cambodia. Again, his complaint also was unsuccessful, because again the other side’s lawyer was able to prove to the judge that there was not enough evidence for a conviction. Sok Chea did not have a lawyer to represent him in court for either of these complaints, and with courts hugely partial to any party that has a lawyer to represent them, he had little chance of realistically obtaining a successful verdict. He also unfortunately made the mistake of missing his first day in court, due to a mix-up in his paper work. Sok Chea did not receive any compensation for the crimes committed against him. His brother did end up paying his debt back over the course of the court action, so he did gain a little relief from the situation. However, the story did not end there as his defeats were compounded by the fact that the defendants decided to file a complaint against him for slanderous denunciation. They claimed that he had defamed them by filing the previous complaints. Again, they were successful again in court, and as a result he was ordered to pay them a compensation of four million riels (approximately 1000 USD). At this point, he reached out to the IBJ lawyer, Ly Kosal, who works in the Takeo province, as he had heard about IBJ’s work on the radio. Kosal was able to argue that this case should be appealed, as there had not been nearly enough time for a lawyer to prepare due to the case’s timing after the Khmer New Year. As a result, the case was transferred to the Appeal Court, where the IBJ lawyer who worked there was able to represent Sok Chea. There, the IBJ lawyer, Kin Vibol, was able to get Sok Chea acquitted so he did not have to pay the compensation originally awarded. Without the lawyer’s intervention, he would have been forced to pay the compensation or would potentially have ended up in jail. The case was not difficult for Vibol, but without IBJ’s help, there is very little chance Sok Chea would have had any successful result from the Appeal Court. Today, Sok Chea is incredibly thankful for IBJ’s work in his case. He is now very aware of the value of a lawyer in Cambodia, as without representation he would have received no justice in his case. He would likely have ended up owing money to the original parties who were stealing from him, and it all would have started from him giving his brother a few fish as a present. Names have been changed for this story. The client and his family consented for their story to be shared.